A research team led by Jeffrey Brown, a doctoral student at Rutgers University in the U.S., used data spanning a 40-year time period to study bird populations in Mettler’s Woods, a 64-acre old-growth forest within the Rutgers-owned William L. Hutcheson Memorial Forest in the state of New Jersey. Mettler’s Woods is one of the last uncut stands of oak-hickory forest to be found in the United States. It would, on its surface, appear to provide ideal habitat for many bird species. But nine birds known to historically inhabit the forest no longer nest there, and many other species have lower populations than expected. 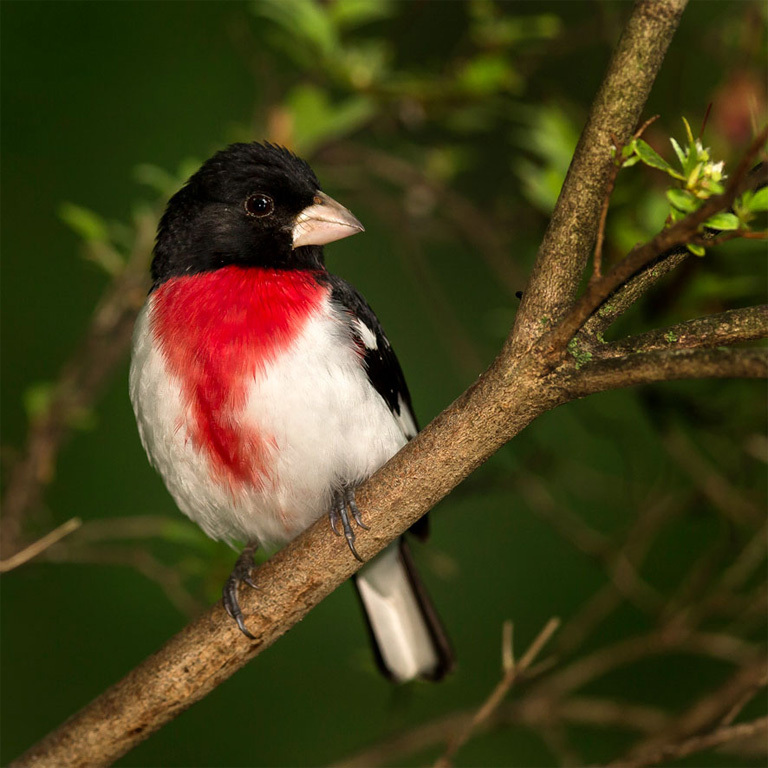 The rose-breasted grosbeak (Pheucticus ludovicianus). Photo Credit: Matthew Sileo. Jeff Swinebroad, a former Rutgers professor, led a research team that captured and banded birds every year between 1960 and 1967 in Mettler’s Woods (Swinebroad has since passed away). For the present study, Brown and team built on that initial dataset by performing similar banding annually from 2009 to 2015. 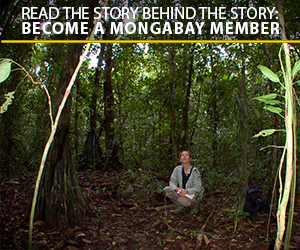 This allowed them to examine how bird populations in the old-growth forest have fared over the past four decades. 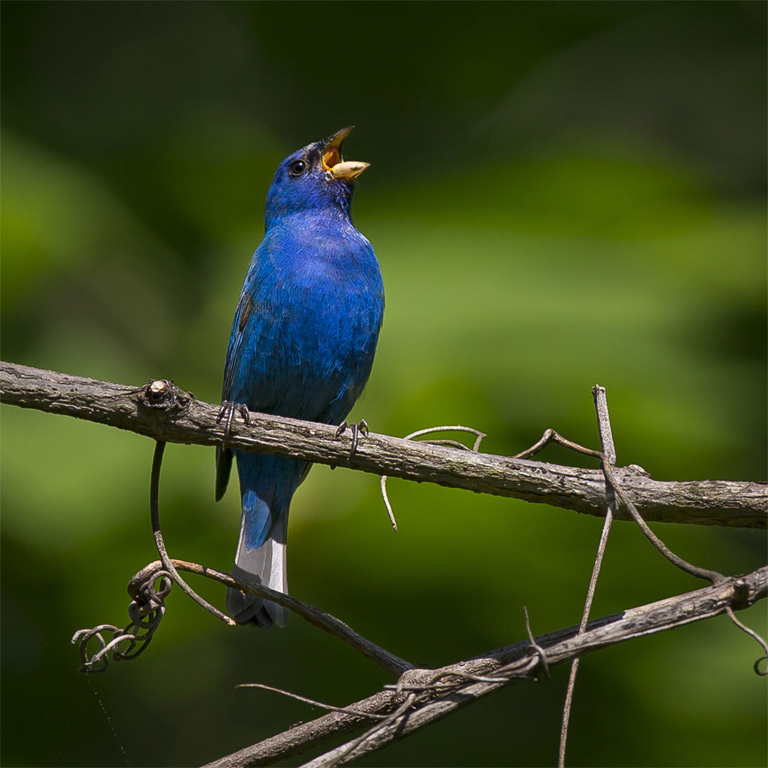 The indigo bunting (Passerina cyanea). Photo Credit: Matthew Sileo.